There, I said it. I’m scared of wearing pastel colours. Florals, I love, pastels... I just don’t do it well. I’m scared of spilling things, of looking so pale it’s unhealthy and most importantly, ending up resembling a marshmallow (pale pink coats of winter, I’m looking at you). Pastels are everywhere. Every highstreet store seems to have jumped on the pastels bandwagon so I’ve overcome my pastel fears and put together my pastels wishlist and how I’d wear them this season. A workwear staple without the harshness of black and the tapered shape of these ones allow for a flash of ankle and that look of ‘this is stylish workwear, not a boring pair of bootcut trousers’. Pink always tends to work well with grey and the higher neckline keeps it work appropriate. Again, keeping it pale, I love the round neck of this cardigan and it’s easy to slip on over the top on a chilly morning. The neutral colour makes it a versatile piece too. They go with everything and these suedette heels are under £15 at New Look. Perfect for a weekend shopping trip as it’s quick to whip off in a changing room and the colour speaks for itself. Miss Selfridge always has a variety of skinny jeans but I love these ones as the denim is a midwash rather than a harsher indigo. 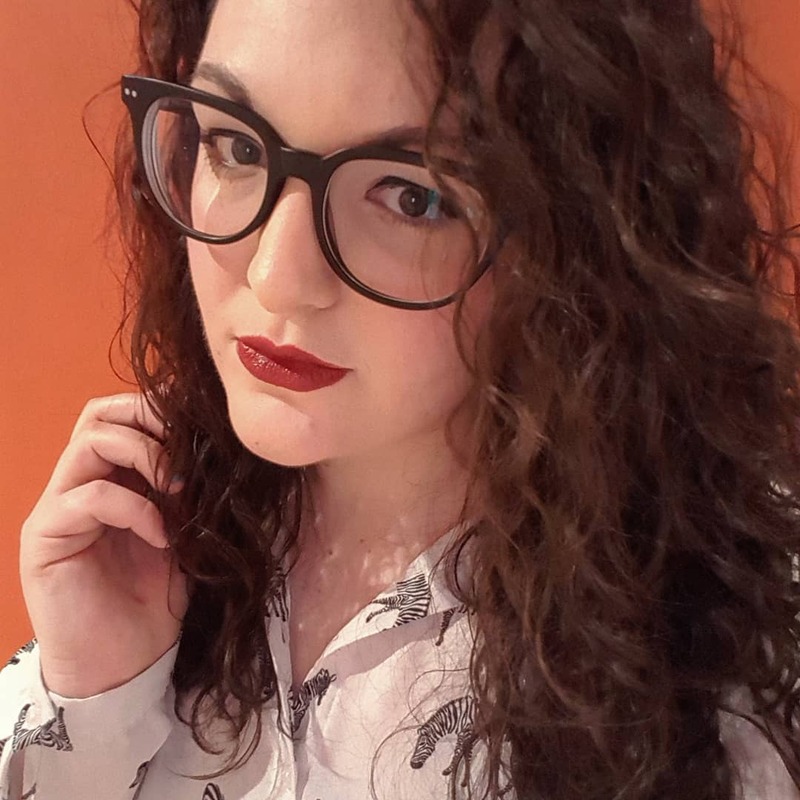 The higher neckline of this jumper allows for a chunky necklace and I love this hexagonal one by New Look. Gold stands out more so than silver when layered over a pastel and the snakeskin effect adds a new texture. Flat shoes like these are ideal for a day on your feet and I love the dusty pink colour of these ones from ASOS. 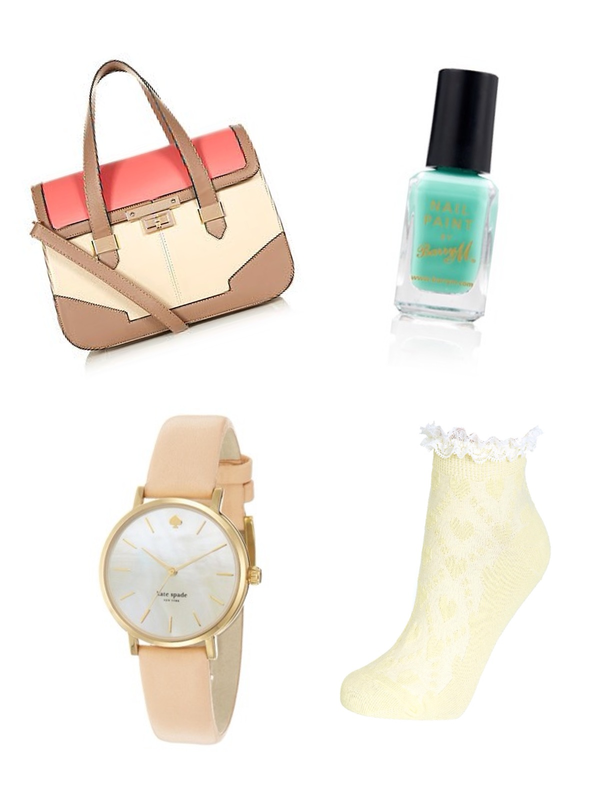 Anyone else who’s fearing the pale colours of this season, here are my top picks of pastel accessories. I absolutely love this cream watch by Kate Spade (via ASOS). It’s an investment piece that would take you through the seasons yet still hints at the pastel trend. These lemon ankle socks are adorable and whilst the weather is still requiring leather shoes, these can still sit above a pair of ankle boots. I love colour blocking and this bag is only £22.99 from New Look. Nail varnish can be picked up so cheaply in every colour under the sun so there really is no excuse not to update an outfit with a new polish. I’m a big fan of Barry M as not only do they have every colour known to mankind but their prices start at £2.99. I love their Mint Green nail paint. How do you feel about pastels? Are you a scaredy cat like me or have you already picked your favourite pieces of the season? I love pastels.. however, similar to yourself, I'm quite pale in complexion, so I try not to over do it. Love all your choices, especially the slouchy jumper, that's a gorgeous colour!